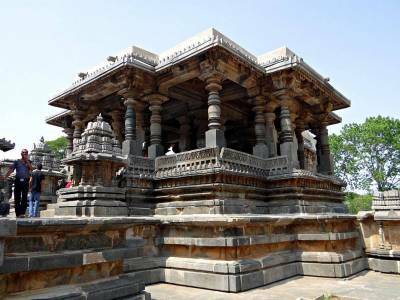 Built during the reign of the great king Vishnuvardhana, this temple is an iconic landmark and a proof of the pinnacle of glory the Hoysala Empire had reached in the 12th century. 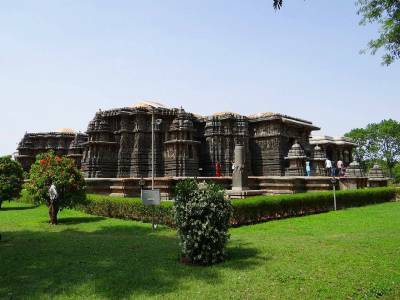 The Hoysala Empire’s capital was Hoysala and it was during this period that the king Vishnuvardhana ordered the construction of this temple which is made entirely out of soapstone. Although this temple stands facing the east, the present gateway entrance to the temple is on the north. 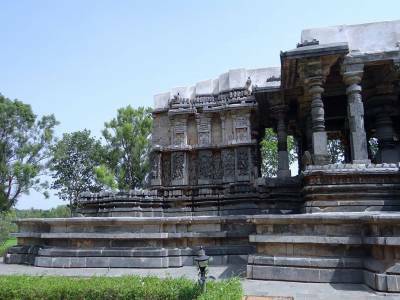 The Hoysaleswara temple houses a twin sanctum dedicated to the masculine and feminine forms of Lord Shiva with a linga or a structure similar to phallus representing both deities and conjoined in a way such that they form a cross shape. Every Shivalinga is guarded by its vehicle and ardent devotee Nandi facing the Shivalinga, which is the statue of a bull. The Hoysaleswara Temple is full of motifs, inscriptions and works of art and the portrayals in the temple art are a distinct representation or reflection of life in that period of time. There are about 340 larger and distinct iconography and reliefs depicting Hindu theology and legends from mythology while the smaller sculptures and motifs and friezes below narrate the legends that have been depicted pictorially. The Hoysaleswara Temple which looks like a flat structure now, is believed to have had two towering superstructures but no more and it is believed that the destruction of the same happened during the invasion of the Muslim armies of the Delhi sultanate under Mohammed Bin Tughlaq, after which the temple sunk into a period of decay and dilapidation under neglect and plunder. 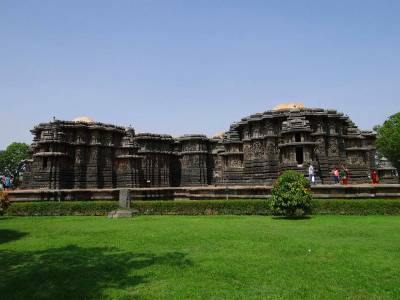 The Hoysaleswara temple has been constructed to face east because in a small little chamber beside the main sanctum, there is shrine dedicated to the Sun god Surya. 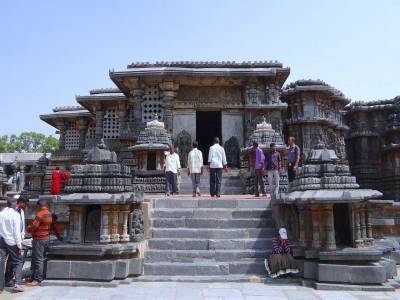 Get quick answers from travelers who visit to Hoysaleswara Temple, Halebidu.